President Donald Trump announced that he planned to end the Deferred Action of Childhood Arrivals (DACA) in September of 2017. This decision could change the future of over 800,000 people indefinitely. DACA was put in place in 2013. This policy, also known as the DREAM Act, affects people that were brought illegally into the United States before the age of sixteen. These immigrants, also known as Dreamers, must have been living in America since July 2007 in order to qualify. DACA kept Dreamers from being deported and also allowed them to get work permits for up to two years. Since it was implemented, DACA has been met with a fair amount of controversy. The Republican Party in particular has openly resisted it. 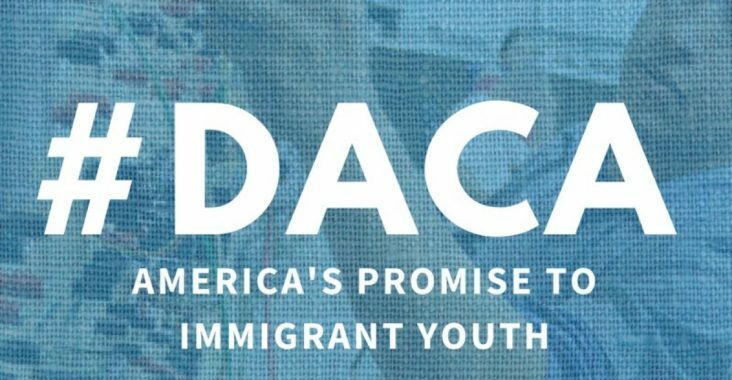 As of September, 2017, applications for DACA are no longer being accepted. Those currently affected by the act will lose their status by March 2020. Since President Trump repealed the act, some have openly opposed his decision. After the termination of DACA, four immigration bills were recently proposed. These four bills would help undocumented immigrants gain citizenship. On Feb. 15, 2018, the immigration bills failed to pass through the Senate. At the time, President Trump tweeted, “Voting for this amendment would be a vote AGAINST law enforcement, and a vote FOR open borders.” University of Wisconsin-Stout students had a say in the matter. “I really don’t approve a lot of the things that Trump is doing, especially not wanting the Dreamers to be in the country anymore,” said Erin Briggs, a sophomore majoring in applied social science. “I don’t think that people should be deported if they were brought over by their parents,” Mara Schumacher, a junior studying professional communication and emerging media said. “The United States is what they’ve always known. It was their home. Those that support DACA are still looking for a way to keep it in place. As of right now, no bills have been passed to assist the Dreamers.